The legend lives on. Developed over 20 years ago, at that time it was a quantum leap in performance. The first high-quality tire suitable for reliable touring and everyday use. These characteristics quickly made it popular and today it is still Europe's most ridden touring tire. 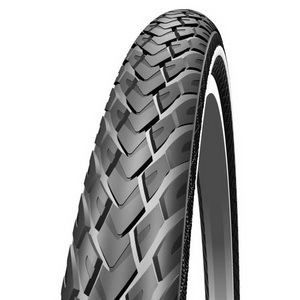 In the newest version with KevlarGuard and Allround tread compound it can fulfill everything that is expected of a Marathon tire: Effective puncture protection, durability and excellent handling characteristics.